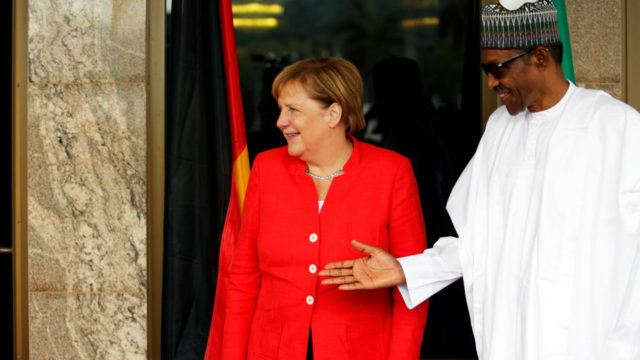 German Chancellor, Angela Merkel arrived Nigeria on Friday morning and was received by President Muhammadu Buhari in Abuja. Merkel’s visit to Nigeria marks the final part of of her three-day trip to West Africa countries: Senegal, Ghana and Nigeria with a focus on strengthening economic development and containing illegal migration. According to Tuggar, this sort of step requires cooperation and support by both governments to facilitate the investment and minimise risk. The ambassador disclosed that some business persons on Ms Merkel’s entourage would sign agreements with some Nigerian companies.